This top has become a fast favorite, and it's easy to see why. The print is darling, and I love the velvet keyhole neckline. Plus, it's only $27, so what's not to love. 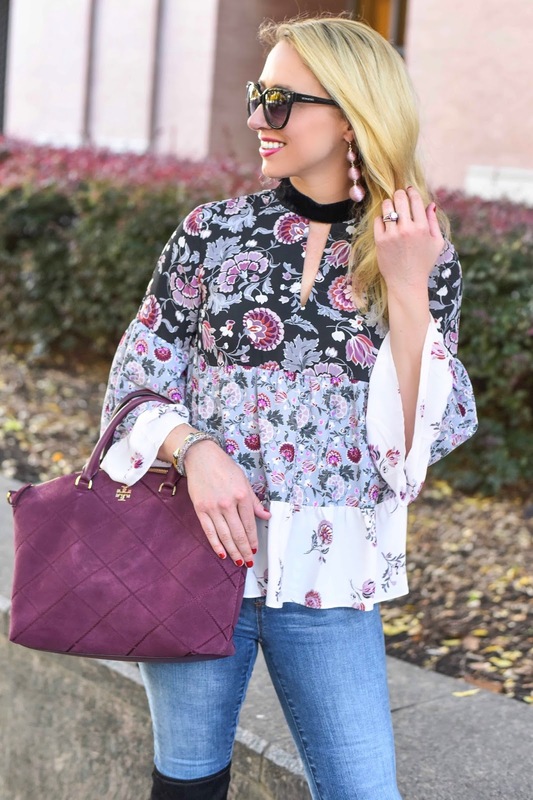 I was laughing with my photographer when we shot this look that I never wear anything flowy and boho, but this top is a nice change from the norm, and still reflects my girly girl style. Tip: When wearing looser pieces (think cozy sweaters, over-sized blazers, or palazzo pants), it is important to pair them with form fitting pieces. This makes your outfit look put together, and keeps you from looking frumpy! What I also like about this look is it is actually something you'd see me running around town wearing on a daily basis. I have been wearing my over the knee (OTN) boots a lot recently, since it's finally started to cool down a bit. They look great with skinny jeans and are so cute with sweater dresses. 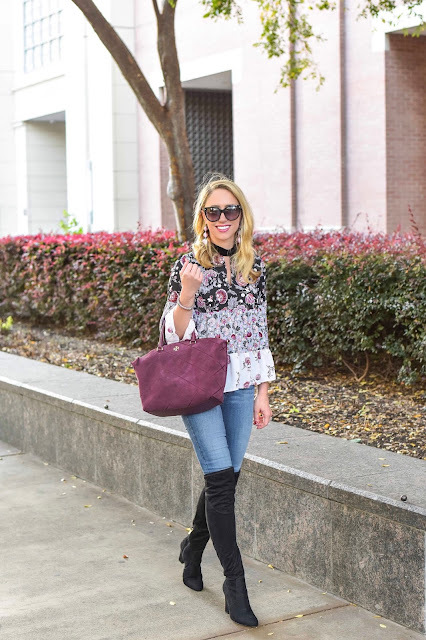 Below are some of my favorite OTN boots that are all under $100! Simply enter below by completing the rafflecopter. You’ll receive one entry per completion. This giveaway is open internationally and runs until end of day 12/18. Winner will be announced here. Good Luck!